Starting a blog is the most lucrative business you can start. It can be life-changing, REALLY! Many people have started blogs and it turned into a lucrative career for them. Read my article on How One Blogger Makes $100,000 a Month on 1 Blog. Now, I’m not near making $100,000 a month but I bring in more income than I did when I was a Special Education Teacher. I also have more time to spend with my family because I make my own schedule and can work anywhere! I’m the Mom with a laptop blogging outside my daughter’s dance class. Becoming a Blog Entrepreneur has been one of the best things I have ever done for myself and my family. Note: There are some affiliate links below to products or services I use and recommend. There is no cost to you but if you decide to purchase the product, I may receive a commission from it. 1.1 To give you an idea of the quick ROI, here are my blog’s start-up costs. 5.1 How your going to make the most money with a blog is going to be with your own digital products! Today, I want to show you how to start a WordPress blog and you’ll see how easy it is to create a blog and the quick Return on Investment (ROI) you will receive. Becoming a Blog Entrepreneur has to be the best business start-up with the quickest ROI. In a regular business model, it may take years before a business owner sees a Return on Investment. But with a blog, you can see your return in the first months! It really depends on how you hustle and how you go about monetizing your blog. To give you an idea of the quick ROI, here are my blog’s start-up costs. As you can see, the total expenses of running my blog per month is less than $100! Basically, I run a business for $2.06 per day! 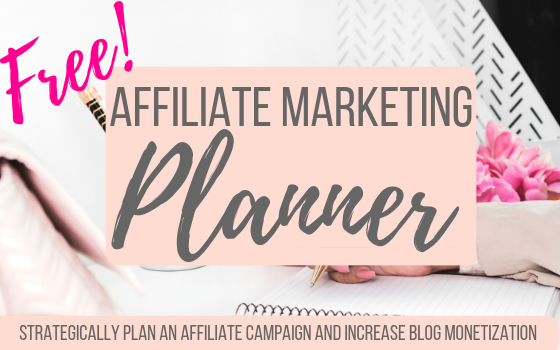 If I have a bad traffic month and small Affiliate Sales, I tend not to worry because I know I can make it up easily in the upcoming months because my biz costs are so low. With upcoming digital product launches and affiliate campaigns, I will make ROI before my 9-month mark! Congratulations! Now that you know how smart it is to become a Blog Entrepreneur, you’re ready to start a blog. WordPress is the best platform to start a blog with but its best to choose a Self Hosting Platform such as Site Ground. A recent post I wrote on What Self Hosting Platform Professional Bloggers Use, listed 5 well-known bloggers and the majority of them chose SiteGround as their pick for a self-hosting platform. I use SiteGround too for my blog. It was a simple choice after reading reviews from other bloggers and the pricing is competitive with Blue Host. SiteGround is also a company that values their employees. Each month, SiteGround hig hlights a Top Technical Support Representative of the month. All the highlights feature an employee who has been with Site Ground 5 years or more. The feature will also list quirky things such as Favorite Office Tradition, The Funniest Client Support Situation and Favorite Customer Case. Also, it gives cumulative stats on how many customers the employee served and percentage of happy clients. I truly believe the atmosphere and energy of a company shine thru and reflects on how they treat their customers. I say efficiently setting up your blog because it can be very overwhelming. You’ve decided on a name for your website, have an idea of what you’re going to write about and now you think you’re ready to start blogging. Well, hold your horses!!! You need to think about some things first. Things like…. Where do you start? I know, this is a lot to think about. You could literally spend countless hours trying to google each item and read a million articles on setting up your website. Please, don’t be like me and waste your time after 2 months of setting up your website when I could be focused on content building. I finally decided to purchase Blogcabulary Plus by Nataly at Love & Paper Flowers. Blogcabulary helped me walk through all the steps I needed to do BEFORE I started blogging. Of course, I didn’t purchase it until after a couple of months after I started and I had to go back and basically start all over again:( Don’t waste time like I did. Do your self a favor and go ahead and purchase Blogcabulary. Trust me, it’s $34 worth it! This is by far the most important part of becoming a Blog Entrepreneur. How are you going to make money? If you think you’re going to make money from Ad revenue at the beginning, I hate to burst your bubble but your not. Google Adsense will only bring you a couple of dollars the first year. How your going to make the most money with a blog is going to be with your own digital products! What, Michele!? What about Affiliate Marketing? Yes, you’re going to make some money with Affiliate Marketing too but to grow an audience, gain trust, and build a reputation as an expert blogger, you need to create digital products. Digital products help you create a diversified revenue stream and are evergreen. Evergreen in meaning it will always be around. Now, I’m working on my digital products to help me diversify my blog income stream. It’s an ongoing process and hard work. But I know it will pay off in the end. This should be every blogger’s goal to have a diversified income stream. If you are new to Affiliate Marketing or need to hone in on your skills, may I suggest a course that I also took, Making Sense of Affiliate Marketing. The course modules will touch base on the following topics in Affiliate Marketing. Where to find the best affiliates and apply for them? How to increase conversions and page views. The worksheets alone that Michelle provides are invaluable. It’s very thorough and will help you in marketing your affiliate posts. It’s really more than just slapping an affiliate link up in a post. It’s a strategic launch of a product or service to your readers in a multiple-step fashion that Michelle will teach you. As you can see, becoming a Blog Entrepreneur is like any other business. You have to work hard, learn from others and believe in yourself! What I do know is that Bloggers are the nicest group of people to work with. We are all here to help each other grow and learn because we love our careers and we are all in it together. If you are ever in need, reach out to me or any other blogger you know. We are happy to help!